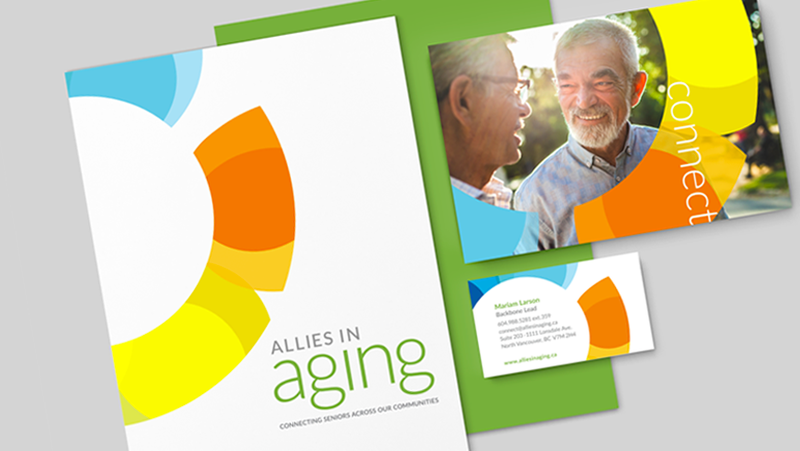 Allies in Aging projects are designed to connect seniors who are 75+ with people and services to reduce isolation due to disability, low income, language or cultural barriers. Social isolation can put seniors at greater risk of poor health than factors such as obesity and physical inactivity. Allies in Aging is a collective impact initiative to reduce seniors’ social isolation in our community. Nearly thirty partner organizations are working together to connect seniors to supports and services. Projects include leadership programs, outreach, transportation initiatives, training programs and advocacy. After engaging senior volunteers in a focus group, we learned that they identified with visuals that were vibrant and active, and were not happy with typical branding geared towards seniors (soft shapes, pastel colours). As this was a collaborative initiative, we worked with colours from the key steering group committee partner brands, in order to create an open and welcoming vibrant circle. 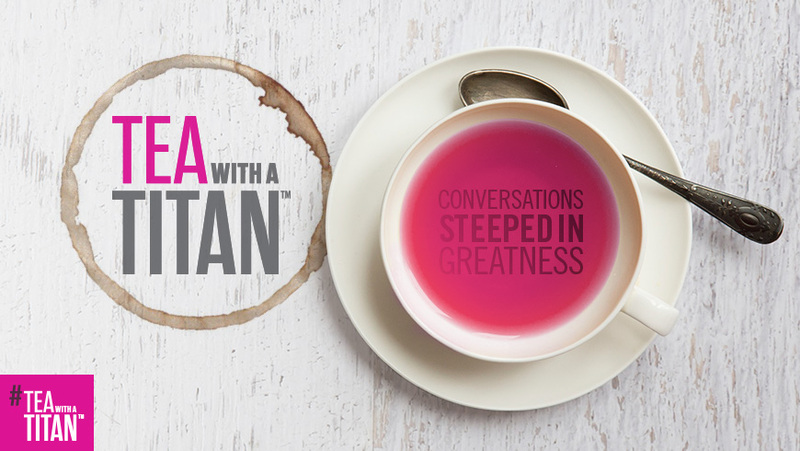 Tea with a Titan is a weekly podcast during which Mary-Jo speaks with those people who have one thing in common: a quest for authentic greatness in their chosen arena. Writer, speaker and performer Mary-Jo Dionne wanted to launch a new podcast series that focused on how incredible people overcame challenges to achieve their best. The brand had to reflect Mary-Jo’s existing identity while appealing to a wider podcast audience. Above all, the logo needed to stand out among her podcast competitors in iTunes, so we mocked up the app store and tested every concept to see how well they stood out amongst the competition. The circle shaped tea stain was the clear winner among all the box designs. The Canopy Privacy logo symbolizes both a protective shell or two birds, depending on how you see it. 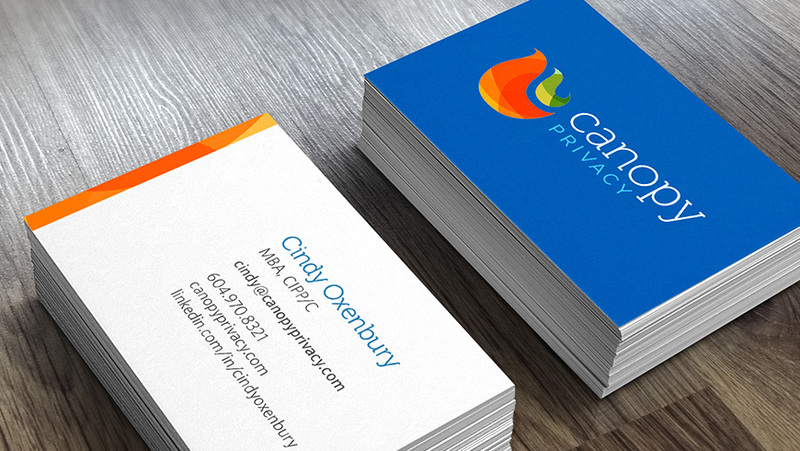 We recently designed an identity for Canopy Privacy, a new company that delivers high-value privacy packages for compliance with privacy legislation. Privacy can be perceived as a dry task so the client wanted an approachable concept that felt positive and vibrant to make clients feel more at ease with this key aspect of their business. As parents, we wanted to build a safe, meaningful and creative online gathering place specially for tweens. We know the tween years are critical and sensitive; it is a time when they learn to express who they are, forge friendships and fit in. And, since tweens love taking pictures, photo sharing is at the heart of it. Zuzee is an online gathering place where tweens can share photos and design their own online and offline books. 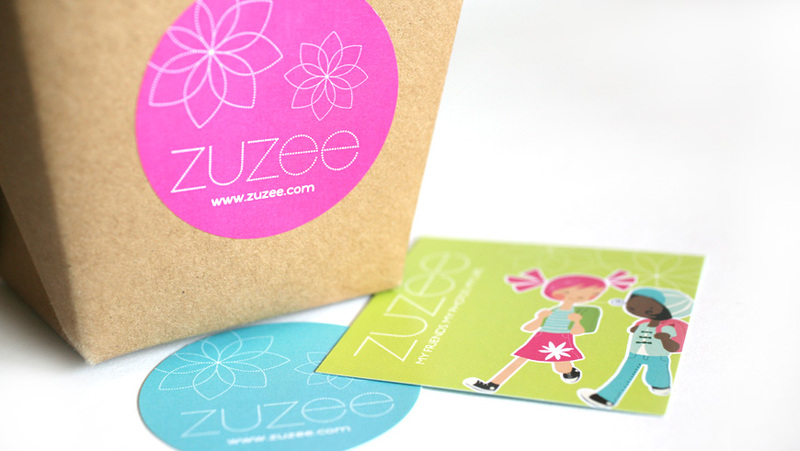 Mika Creative developed the logo and brand identity for the company, as well their marketing materials. Owner Shelley Voyer realized there was a shortage of services geared towards tween girls. As this group has distinct tastes that are different from kids or teens, we spent quite a bit of time at the beginning talking to tweens and testing out different trends and styles to see what they liked best. The Green Table brand package was a Graphex 2013 Awards finalist. The Green Table Network was a non-profit initiative that worked with the restaurant industry to “recognize and showcase food service operators who have committed to improving their environmental performance while continuing to serve the best quality, tastiest food imaginable.” Strategically, we felt that the branding needed to reflect both the sustainability message and also the concept of pride and craftsmanship in the food industry. In branding the organization, our goal was to educate and motivate restaurants and food services businesses to become environmental stewards, by creating a cohesive branding package, including logo, stationary, leaflet design and portable exhibition materials to be used at events. The concept for the logo came about while sketching different renditions of trees and the “aha” moment came with the circular foliage shape and the idea that it could also be a plate, with the trunk as a fork. The logo itself could be positioned in different ways – upright to represent the tree – and on it’s side, to look like a plate. 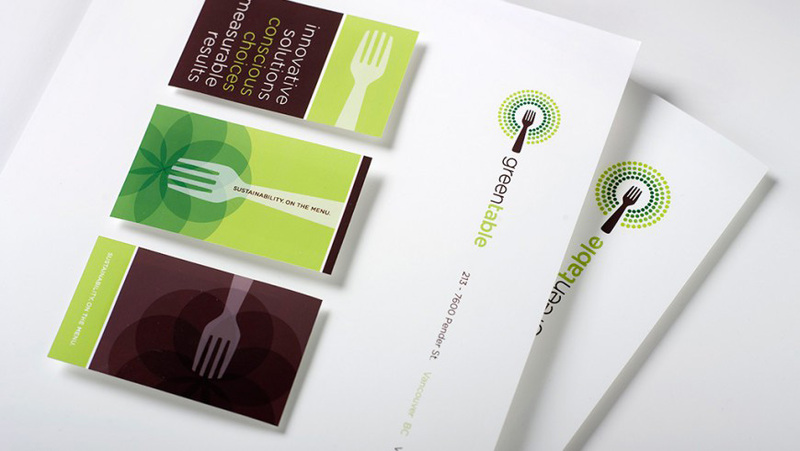 The Green Table brand package was a Graphex 2013 Awards finalist. Read more here. I like to capture emotion in a photo – the lighting is secondary to the feeling. At the end of the day we have our memories. I want to give people the real thing – how they are, not how they want to look. Working with White Crow Communications, we developed a fun new identity for Carrie Marshall Photography. After working with Carrie on several client photo-shoots, we knew her identity needed to convey her witty and warm personality and her sense of professionalism. A bright fun colour paired with a simple, elegant icon came together to help Carrie stand out from other photographers in the field.